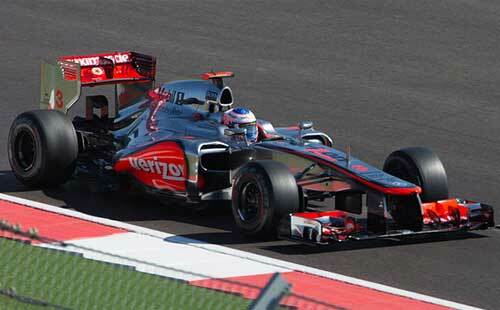 Formula One racing isn’t new to the United States but it’s relatively new to Austin, Texas. The first Formula One race was held deep in the heart of the Lone Star State in 2012 on the Circuit of the Americas, a track built specifically for the Grand Prix. Situated on 1,000 acres, the counterclockwise, 20-turn circuit was designed to take advantage of the natural hills and valleys on the site. In fact, the circuit’s signature corner is Turn 1 in which drivers go steeply uphill into a blind hairpin left turn. The Circuit of the Americas (COTA), which seats up to 120,000, is a favorite of race car drivers and fans alike. From the stands at that Turn 1 hairpin -- from which spectators can see the skyline of downtown Austin -- to the state-of-the-art pit stops for drivers, no amenities were spared during its construction in 2011 and 2012. Those sitting in the main grandstand at the start-finish straightaway get food and beverage service at their seats. Want to see what that feels like? Watch this video, hop in and take a lap around the 3.4-mile track. The circuit also plays host to MotoGP and Lone Star Le Mans races. When cars aren’t zooming around the track, the venue is used for ESPN’s X Games, outdoor concerts and business seminars. At its center is a 251-foot observation tower and an open-air amphitheater. Can’t wait to go? 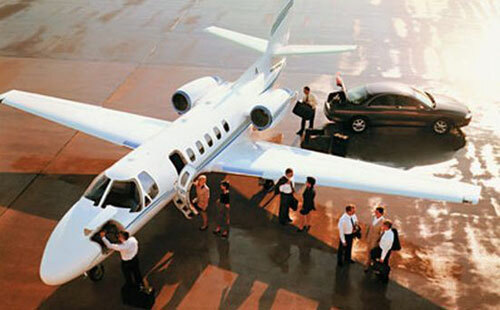 Paramount Business Jets can arrange a flight for you into these nearby airports. Booking early has many advantages. Enter a few details below to start planning your private jet flight to the F1 US Grand Prix. Webber driving for Jaguar at the 2004 United States Grand Prix. Picture Source. There is much to do and see in one of the coolest cities in America. It’s a college town. The University of Texas is located there. It’s a music town. Nicknamed the Live Music Capital of the World, Austin has more than 250 venues where everything from boot-stomping honky-tonk to rootsy American music is performed live. Austin City Limits, a popular PBS show that often gives up-and-coming artists world exposure, is filmed downtown at Moody Theater. But, music isn’t just for clubs and bars and concert halls. Step off the plane and you are likely to hear live music as you walk through the terminal. You’ll hear music on street corners, in grocery stores and just about any place where people gather. It’s an entertainment town. South by Southwest, an annual film and music festival that showcases more than 2,000 music acts and gathers nearly 1,000 filmmakers and actors for hundreds of film industry talks and workshops, is held here. It’s a food town. A report released by Austin’s Office of Sustainability in mid-2015 said the city had 1,000 food trucks and 6,000 restaurants. The town’s specialties? Southern fried chicken and waffles or barbecued anything top the list. Meanwhile, food trucks offer everything from an $85 nine-course gourmet meal served at a “chef’s table” (a metal serving table and two plastic lawn chairs up against the side of the truck) to tacos, tacos, tacos. And, perhaps most importantly, Austin is a diverse town. The capital of Texas, Austin wears the hats of small-town retro hipster, Texas cowboy and Silicon Valley hip all at the same time. And the people are as diverse as the town. It has large Hispanic and black populations, a growing Asian community and has always been known as an LGBT-friendly city. And, if you are looking for some culture, you’ll find diverse examples of that, too. The LBJ Presidential Library has permanent exhibits on civil rights, the Kennedy assassination and social justice. You’ll also find LBJ’s presidential limousine there. On the other end of the culture scale, is the Museum of Ephemerata, where nothing is permanent. An in-home, family-run museum, it provides a place where people can show off their collections, whatever they may be. You’ll get to see a lot of things when you visit Austin but there’s one spectacle you’ll likely miss because of the timing of the Formula One Grand Prix: the seasonal visit of some 1.5 million Mexican bats. Every year, the bats migrate to Austin in March and find a spot under the Congress Avenue Bridge to hang out until returning home in September. Crowds gather every twilight to watch the bats feed at dusk.